What started as a search for an eagle nest near the Cherry Creek confluence with the Kootenay River ended up as a peek into abandoned buildings and wondering what it was like to live in the area some fifty years ago. 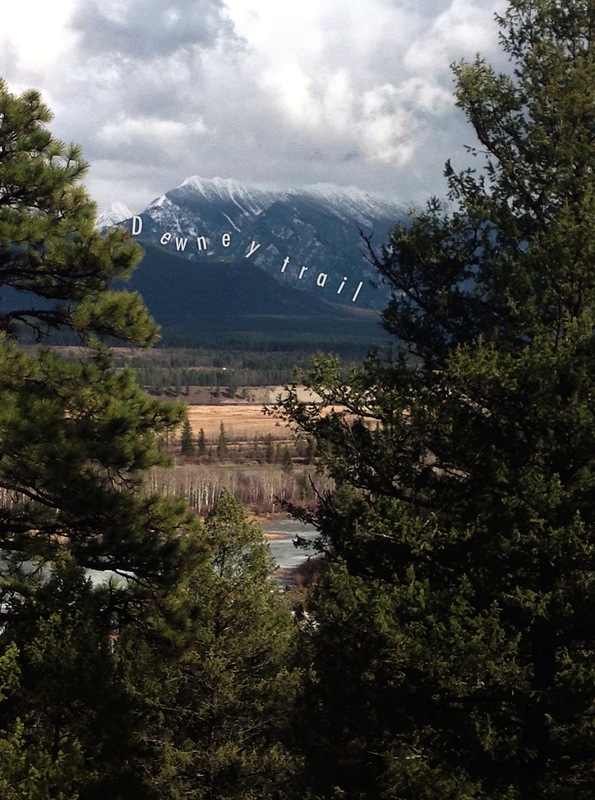 As it turned out, we were on the opposite side of the Kootenay River and could look across and see the two hills that we climbed as part of the Dewdney Trail as described in my previous post. 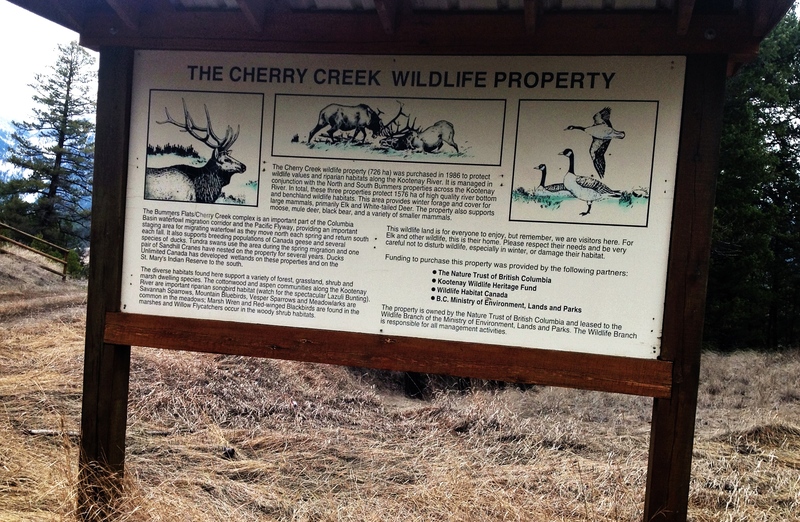 It takes about half an hour drive from Kimberley to reach the Cherry Creek Wildlife Property. This is an area of 968.82 hectares striving to preserve the Pacific lowlands, wildlife habitat and waterfowl migration corridor along the Kootenay River. This area neighbors the St. Mary’s Indian Band reserve and several ranches. Our mission was to find the eagle nest high in a snag along Cherry Creek. Being a Nature Reserve there is no vehicle traffic within the boundary although there is a small dirt track going down to the creek. Approaching the creek, off to the right is an old granary building. From a distance it looked interesting and invited further exploration. The wood on the outside of the building was aged and weathered and provided exquisite texture and coloring. Peeking thru the open door, an abandoned lawn chair sans a cushion was the sole piece of furniture indicating that at one time someone did share this space. At the opposite end of the building was an area that probably housed livestock. We searched the area along the creek for the snag with the eagle nest hoping there could be a possibility of seeing the pair preparing to raise another brood. There was no sign of a nest and surmised that the nest probably became too top-heavy for the snag and toppled to the ground. We did hear the honking of geese further up the wetlands and made a mental note to investigate that area in about a month when nesting season starts. The dirt track crosses a bridge made of seven logs about 60 centimeters in diameter with two timbers bolted to the planks with huge 3/4 inch bolts and washers. On the other side of the bridge was another building with an outhouse. This building was padlocked and the broken window area boarded up. Rounding the side of this building, there were pieces of paper lying in the grass. Upon further investigation, these bits of paper provided a small insight into the people who at one time called this area home. Those people must have used this land as a summer home because there were canceled cheques and business ledgers from Spokane, Washington. The earliest date was 1955 and continued until 1965. We could also determine that there was a female presence as there were hand written recipes and recipes from Betty Crocker torn from magazines. When the curiosity waned with the bits and pieces of paper, we set off to explore the trail heading along the creek. Beside the path there was another channel running and 200 yards further along were several pieces of rusted metal where the channel met the creek. After a discussion of various scenarios, the theory was that the creek had been dammed with the metal providing the flow gates to regulate the water going to the cabin. We followed the trail along the creek until it met a fenced property line. There were wonderful old tree stumps, moss growing in unusual places and fungi creating patterns on the rotting wood. As we were heading back to the parking area we met a vehicle coming down the road. Since the top gate had been locked, we knew the person in the vehicle must be responsible for the security of this area. Indeed, the driver was an employee with the BC Nature Trust. He confirmed that this property had been owned by a doctor from Washington State who loved the area and a wife who was not so inclined. Also, the channel along the creek had been used for irrigation in the flats. In the coming months, this is an area that we will visit again. I am optimistic that in the lowlands along the creek, I can find the yellow ladyslippers that like this type of wetland. And, of course, to return in hopes that the eagle pair will rebuild their nest on another snag and to walk along the wetlands observing the waterfowl. Although there were lots and lots of elk droppings, not one elk was seen. We will have to be more stealth like in our movements (much less noise) to enjoy the animals and the birds. This entry was posted in Finding Joy, Fun, Hiking, ipad, Out My Backdoor, Phonegraphy, Photography and tagged BC, East Kootenays, enjoyment, fun, happiness, hiking, joy, Nature, Out My Backyard, Phoneography, Photography. Bookmark the permalink.